The term WordPress Outsourcing has always been a pop up in the minds of digerati. As WordPress being a CMS preferred the most for developing a website, like so its knowledge for the ability to develop one. But unfortunately, not everyone is pro in handling WordPress. Equally the platform is updated with innovations on a regular basis, making difficult for the business owners to give it time. 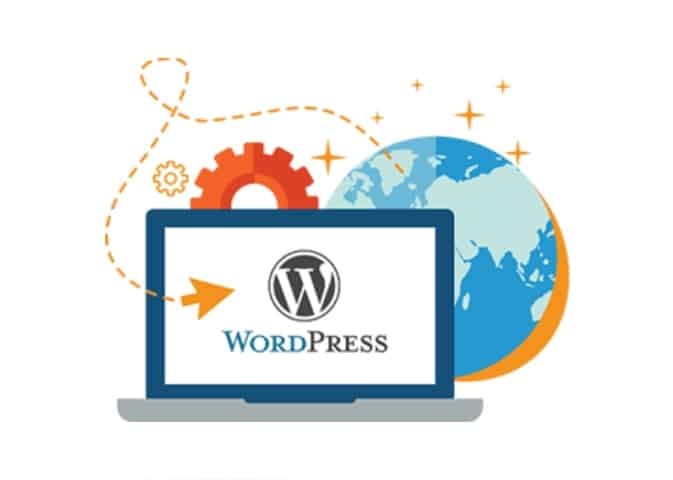 This thinking about WordPress gave birth to the practice of Outsourcing your WordPress work to the experts, who can handle all the updates, and backend operations without any hassle, and also help you in delivering the project on time. And also to the one who can ensure that your site remains in-tune with current best practices and trends. Once you decide to finally outsource your WordPress work, now the question arises is of what exactly you can outsource i.e types of WordPress tasks you can outsource. WordPress Plugin and WordPress Update – From time to time a noteworthy adaptation of WordPress is updated that can possibly break the plugin that is introduced on the site. Each WordPress and plugin refresh should be taken care of cautiously. Installation and set up of WordPress – Though set up and installation of WordPress is a single-handed task and does not take much work to get it done, but outsourcing this can add up a lot when you have multiple sites. WordPress Security – The Importance of WordPress Security has been already described in our previous blog, therefore you might be aware of its importance and requisites, and in case of WordPress security problems are discovered on an almost regular basis thus if you have someone to handle the security updates and issue for the site that you rolled out previously then it will be a good idea. Custom WordPress Development Services – There can be a lot of different requirements of your client that can’t be fulfilled with just a few existing plugins and in such situation, you need to customize, to fulfill your client’s requirements. This can include numbers of WordPress Services. Client Support System for WordPress Issues – It’s dependably a smart thought to have somebody equipped for addressing your customers’ inquiries. For any of the services given above whether you look to hire a freelancer a full-fledged Digital Agency, you should always keep in mind that your outsourcing project should yield you best results either in terms of profit or quality i.e you should always take care of the cost-effectiveness of the outsourcing deal. Also, the on-time delivery of the project matters the most. Select the developer who is open to communicate. Check the previous works of the agency or freelancer. Go through the online reviews about them. Choose the one who willing to handle any type of changes in the project. In case you’re searching for a reliable outsourcing partner, who can take care of business – and progress nicely, don’t hesitate to connect with us. We’ve been keeping our outsourcing clients happy with our expert WordPress services.